Unfortunately, I only have the time and energy for a short update today. 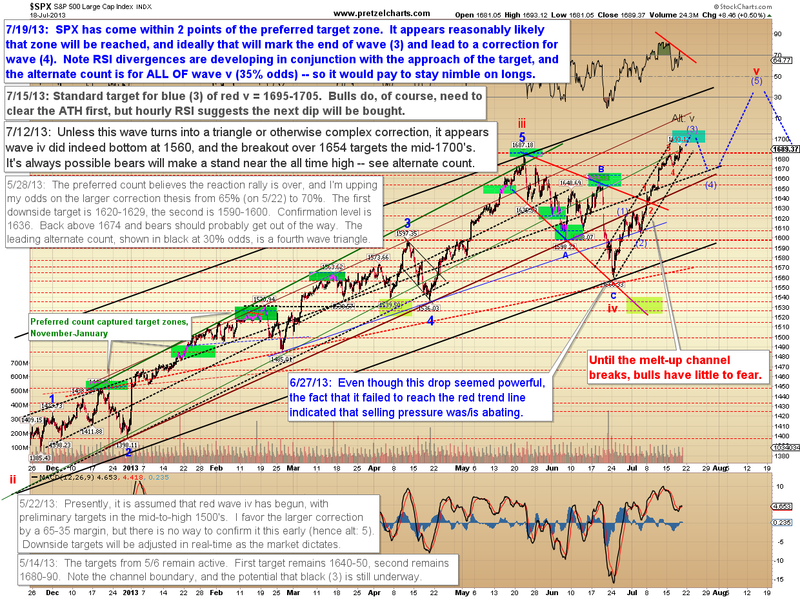 Yesterday, SPX made a new All-Time-High, as the charts suggested it would. 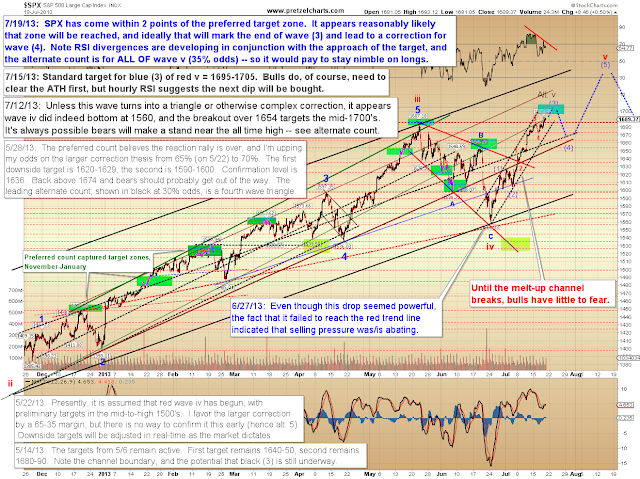 So far it's come within a couple points of the next blue box target zone from 7/15, and I have some caution levels to help determine whether it will be reached or not. The first near-term level for bears to reclaim is the previous all-time-high at 1687. The next key level is 1684 (which was also the first installment in the now-famous series of George Orwell novels, featuring Ye Olde Big Brother). If those levels fail to act as support, then we may have begun the blue wave (4) correction a couple points early. Beyond that, there isn't much to add from the previous update. Trade safe.